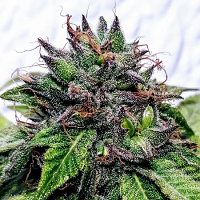 Bubble Kush Feminized From Royal Queen Seeds the term ‘OG’ was originated in the hip-hop industry to mean ‘Original Gangster.’ But when it comes to cannabis, it might as well mean ‘Original Ganja,’ as OG Kush is one of the most popular strands available. When you mix that with the delicious taste of Bubble Gum cannabis, and you end up with a new strain of cannabis called Bubble Kush. 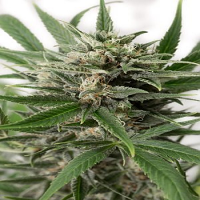 Bubble Kush Feminized from Royal Queen Seeds is a 80% Indica and 20% Sativa blend, and is 19% THC in total, making for the perfect natural high feeling. One toke of this bubba kush and you’ll immediately taste the gum-like flavor, which intertwines perfectly with the effects that you may be used to from OG Kush. If you are looking for a perfect mental high that lets you sit back and relax while you daydream in your own thoughts, this strain is the perfect option for that. If you prefer to have your growth outdoors, the best time to plan a harvest is at the end of September. 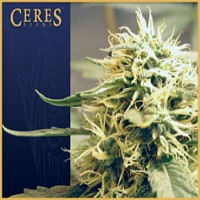 Outdoor growths can expect to yield 600-650 grams per dried plant and range from 160-200cm in height. Consider the weather in your grow, so that you can assure your growth will not be affected due to changing temperatures. This strain of kush is one of the biggest yielders when it comes to growth. 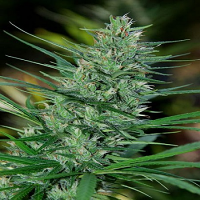 It is likely due to the attention paid by Royal Queen Seeds when combining two of the most powerful strains of cannabis on the market. However, the only thing that might be bigger than the plant itself, is the type of high you can expect to have after enjoying this plant. Because it is so heavily indica dominate, this is considered a couch-lock cannabis strain as it will relax your body and mind. This makes it perfect for a day of watching your favorite football club while relaxing, or enjoying a smoke right before you turn in for the evening. 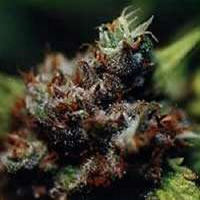 Bubble Kush is also great for those that are looking for pain management, or relief from depression or insomnia. In terms of its physical appearance, expect Bubble Kush to produce large nugs with dark greens and strands of red hairs throughout. Fresher Bubble Kush will also have huge visible crystals throughout. And when the plant is in growth, expect large and beautiful plants that can become quite copious during harvest. If you have ever enjoyed the parents of this strain, then you are sure to like this new Bubble Kush Feminized. Not only do the seeds yield enough for you to get plenty of plant to harvest, but it also provides a fantastic finished product. The high that you’ll experience on Bubble Kush will only be matched by the taste of bubble gum during the consumption process. Be sure to give this sweet, earthy, pungent plant a try for something new and enjoyable.